Home » bakeries » i’m alive. boy, has it been a long week…..
for those of you who just walked in, i work for papyrus, a stationery boutique. since last year, we have been doing creative projects and window displays. my first project was making a wedding dress out of custom printed invitations, paper dresses and inspirations (click there to see the dress in a previous blog). another project i did was cut out hundreds of butterflies to have them flutter all over the window. i’ve also done huge cascading flowers down the window. some were fun, some made me want to scream. but nothing was like what i did this past week. i will post pictures of the behind-the-scenes process of doing my latest project. i gave my facebook page the final product of the project, but more pictures will be posted on my work blog. i will link it to my blog when they get posted this week. a few of my favorites were the cake with the 3 bows that is also featured on that magazine page in front of it. it’s gorgeous! i obviously loved the white cake with the fuchsia ribbon around it because i love pink. i love the “slathered icing” look so i liked that white cake with the pink flowers on it. the ombre cake was adorable, i loved it! it also could have been used as my inspiration for the project i worked on this week, which was ombre. This entry was posted in bakeries, baking, cakes, crafts, papyrus, stationery, weddings. Bookmark the permalink. Sounds like you had a hectic week! I would pick the “champagne” coloured wedding cake with the satin bows and sparkly bits, too. You wouldn’t dare call it beige. definitely not “beige”! i had more than a hectic week. hectic would have been slow-paced for what i just went through. i hope to never have another week like this AGAIN. yummy!! not sure if i can pick. 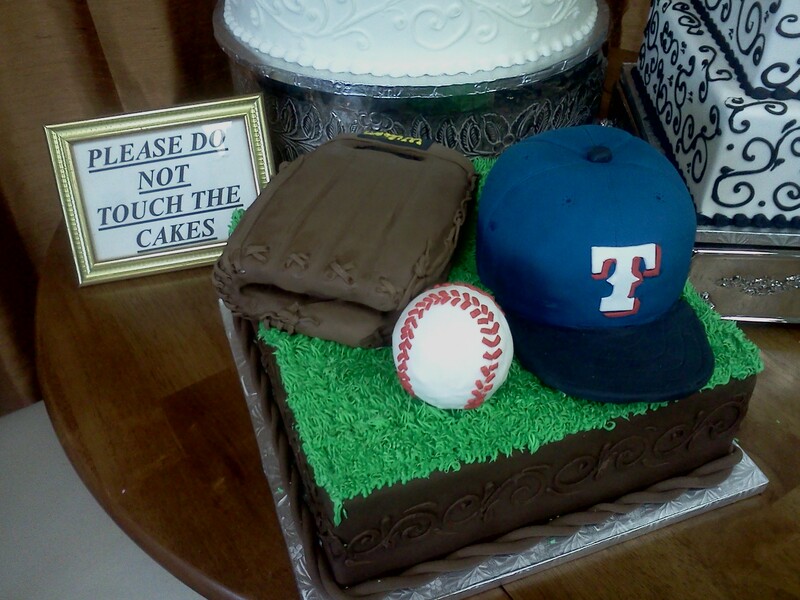 i like the baseball cake, the bow cake, the casino cake… i better stop there. No wonder i can never pick a cake in bakery. interesting job! i know! i even got overwhelmed looking at just their cupcakes! haha! 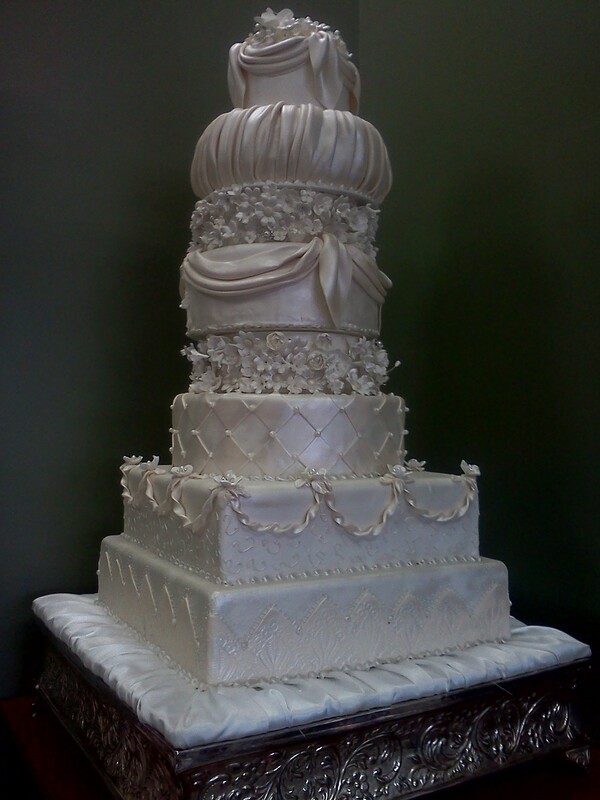 I love the cake with the lace applique on it…so beautiful! i know, right!? i can’t imagine getting married and having to choose ONE design! that would drive me nuts! 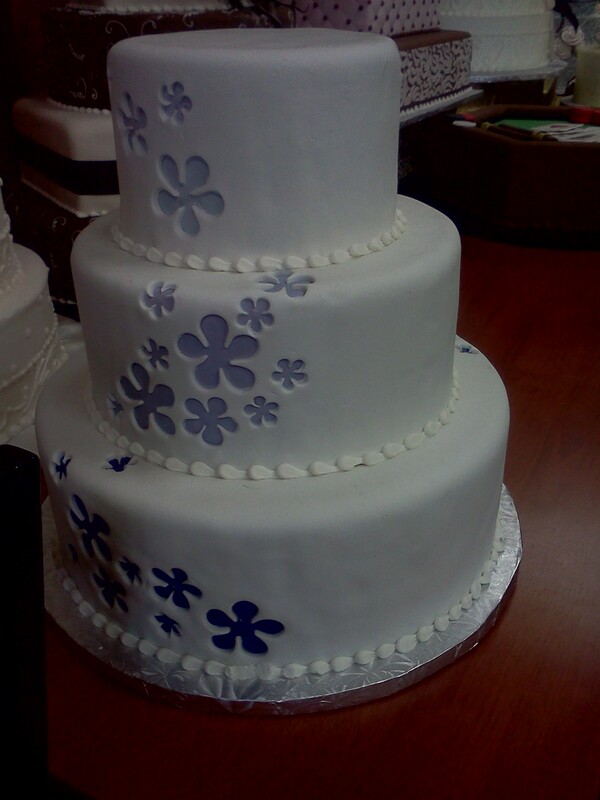 I’m diggin’ the white 3 tier cake with the cut out flowers in blue. That one caught my eye. Thanks for sharing these cakes! aren’t the cakes fun!? i loved them all, really. it was just driving me nuts in that showroom. i can’t be trusted in a room of cakes. ugh. yeah, that’s a cute one!! i love it, too! WOW! Those are amazing! Did they taste as good as they look? 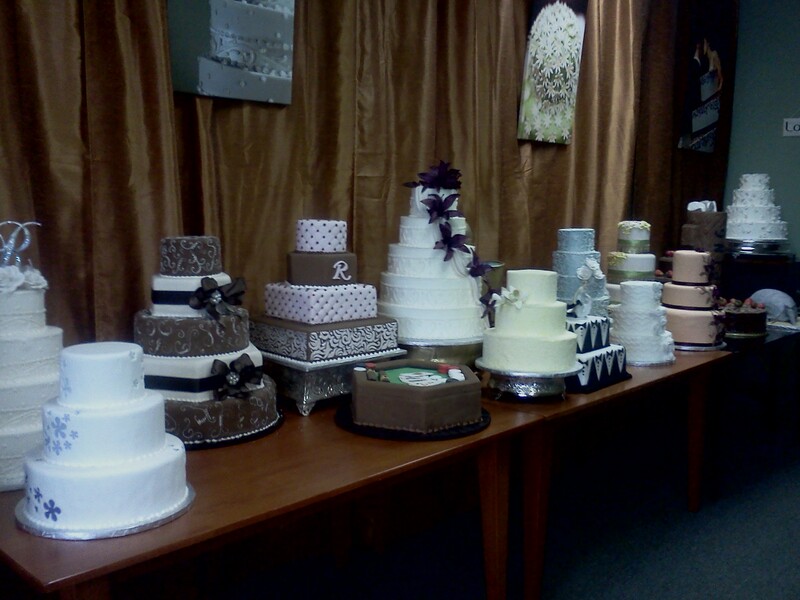 My favorite is the white-on-white cake, the one pictured before the pink ribbon cake. My husband and I had a small, white-on-white cake at our wedding almost a year ago: http://emilyandjoel.shutterfly.com/pictures/290 The paisley pattern was a reoccurring theme, and each tier was a slightly different pattern, like the tiers on my wedding dress. We wanted something small enough to fit on this awesome antique cake stand I had; also, we wanted to spend the money on the best possible tasting cake! We had two flavors: Chocolate with a Grand Marnier ganache, and dark chocolate with a chocolate chile ganache. Every bit as good as that sounds! Thanks for liking my post on our futuristic dessert party! I hope you found something delicious to inspire you! I love the ombre cake too! That is so pretty! I love the applique cake. Simply mindblowing work of art. 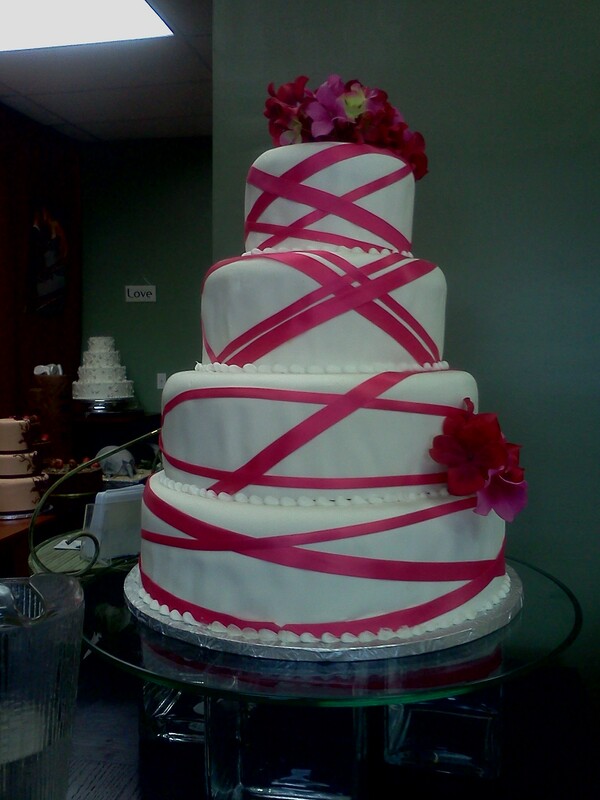 Love the pink ribbon cake… I agree. It’s simple but yet pops! hey, and it made it into a magazine page, that means something. but these pictures don’t do these cakes justice. these cakes were breathtaking in person. just ridiculous. *sigh* i wish i was that good…..
i know, that one’s neat!!! I love cake!! My favorite is the triple layer white with dye-cut blue flowers (at least that’s what it looks like to me). it’s so funny because they’re purple but everyone thinks they’re blue. haha! i love it, too! it’s such a cute cake! I LOVE these cakes. They are soo beautiful! 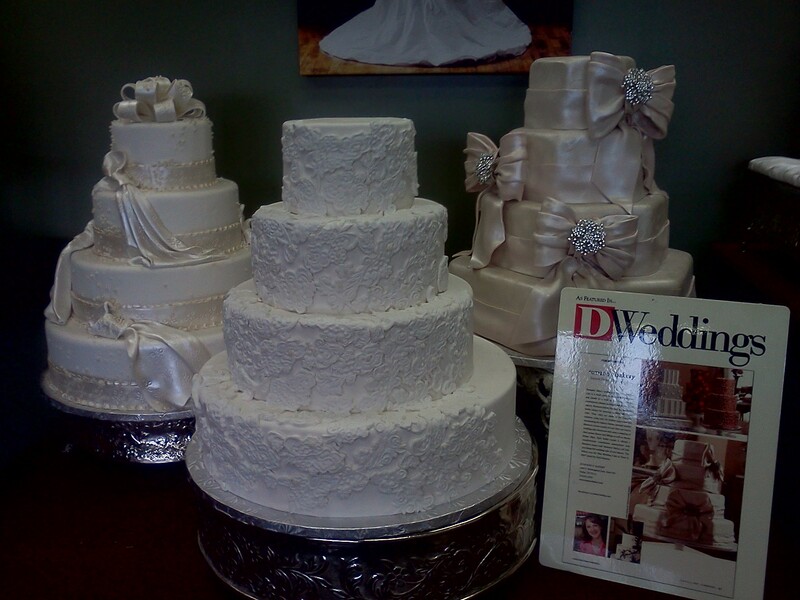 Beautiful wedding cakes! 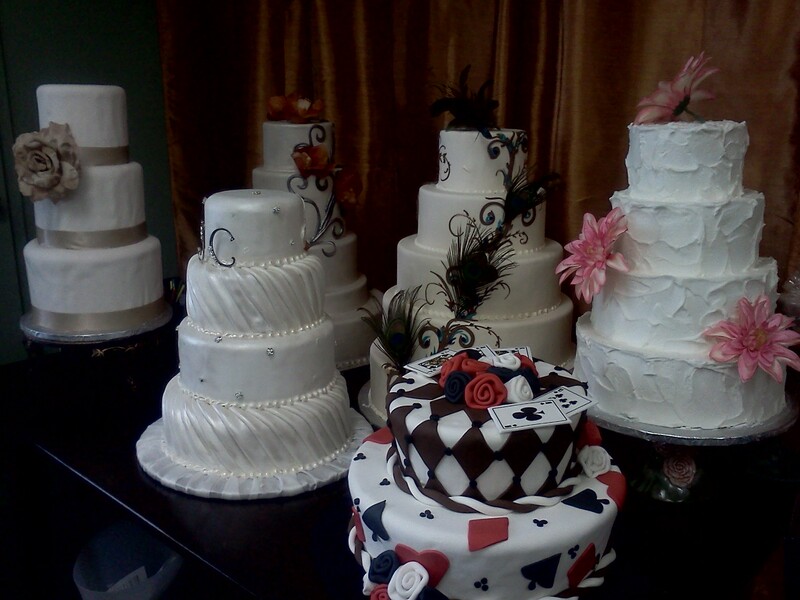 It would be such a dream to one day make wedding cakes for money! I like the one with black feathers. Looks very elegant and unique! 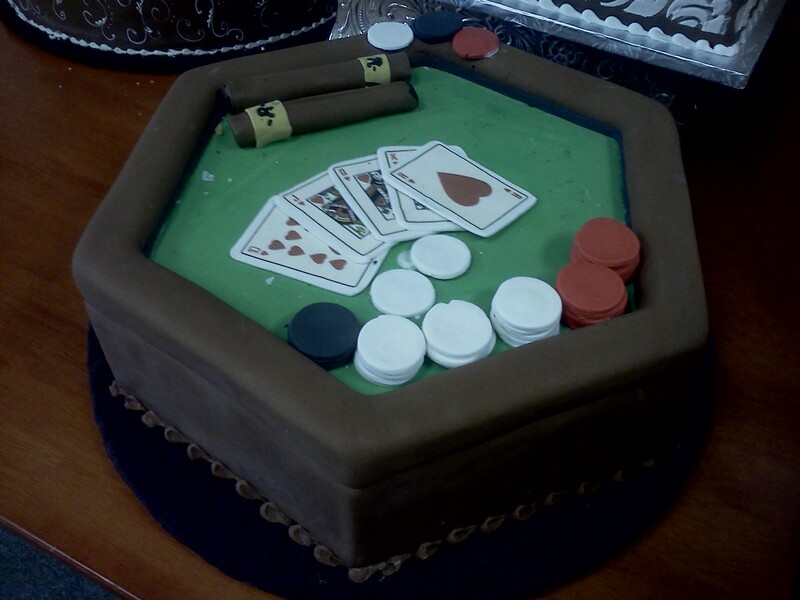 Although I’m not a big fan of fondant, which is what many wedding cakes are made with these days! haha..
Lovely wedding cake and love to see your site! They all look delicious! 😀 Yum! Those are stunning! I love the one in the second photo and the third. Oh they take my breath away. I made cakes for awhile but these blow mine completely away! I made my daughter’s wedding cake and I wanted to do it similar to the one with red ribbons as she had a red ribbon on her dress. But she wanted something else and due to a miss communication and other problems the cake was a disaster. But so was that marriage so oh well. And I will not make the next one. no way!!!!!!!! that’s terrible!!!! i bet the cake you made was amazing, though! and don’t let that discourage you from making more cakes, i bet they look awesome! You are sweet but no it really was absolutely horrible. Oh well I do have a second chance with her. But no that won’t happen. She will have to use a real baker not me! Hi Sierra! Thank you for the sweet write up on our bakery!! Our baker had a great time chatting with you. We really appreciate your love for our work. Have a wonderful day! 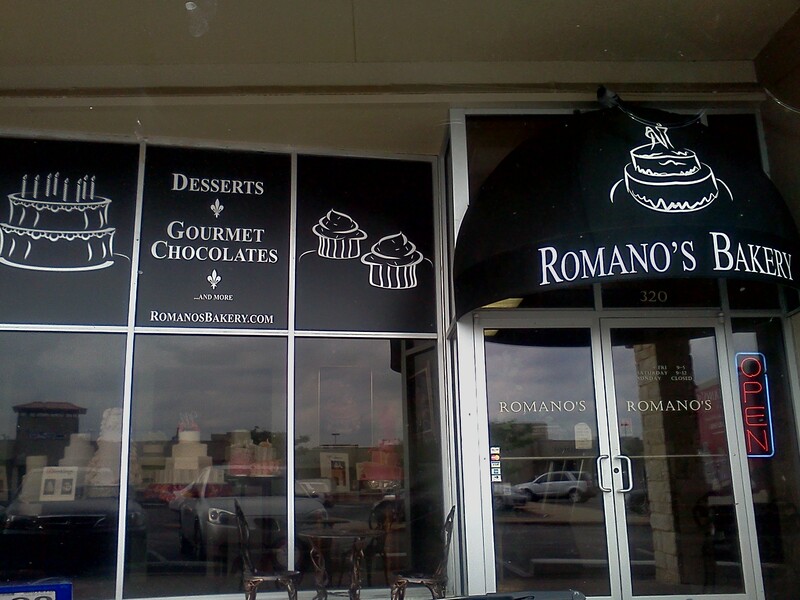 Amy @ Romano’s Bakery.